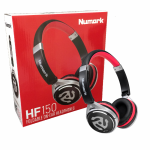 Enjoy better mixes every time with the Numark HF325 Professional DJ Headphones, with exceptional stu..
Numark RED WAVE headphones are designed specifically for the professional DJ. Numark RED WAV..
Portable Pro Performance With the rise in low-profile, highly portable DJ gear, it is entirely .. 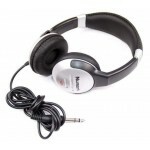 The Numark HF-125 headphone set features flexible 7-position independently adjustable dual ear cups,..